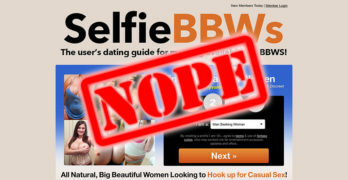 The Truth About XCheaters.com! The Terms and CONditions! 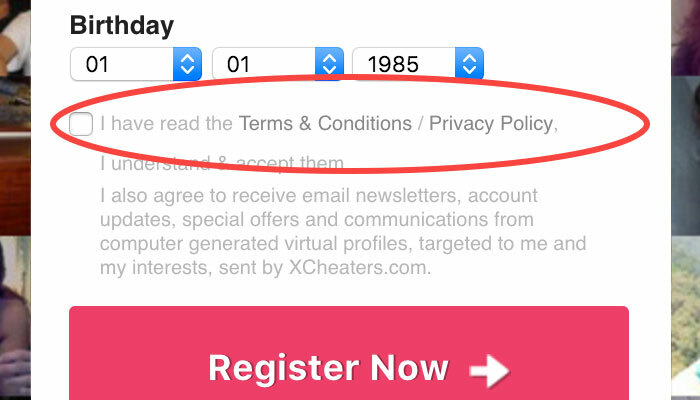 Let’s put XCheaters’ Terms and CONditions to the test. 6. In order to enhance your amusement experience, to stimulate you and others to use our Services more extensively, and to generally sprinkle some sparkle and excitement into the Services of XCHEATERS.COM, we may post fictitious profiles, generate or respond to communications by means of automated programs or scripts that simulate or attempt to simulate your intercommunication with another real human being (though none really exists and any dialog is generated by programming), and we may employ or contract for the paid services of real persons who may interact with you as part of their compensated employment. While these communications may seem genuine, authentic, and personal, they may be broadcast simultaneously to a large number of persons and possess none of these qualities. While their contents may appear to be true, they may be quite false; while their contents may appear to sincere, they may be quite disingenuous. Sometimes, we may use these techniques or others like them for other business purposes, too, including, but not limited to those cases in which we monitor and/or investigate into operations, including but not limited to allegations that you or others have violated this Agreement.